Located in Clinton serving Canton and surrounding areas. What type of maintenance does my septic system need? A septic tank in Canton should be inspected yearly and pumped at least every 2 years to function properly. Another Chance Septic Company offers affordable maintenance service programs at reasonable rates. Our inspector will assess your septic tank to determine the level of solids and evaluate the inlet, outlet, tank divider, and the general condition of the tank. The system's drain and the drain piping are also inspected to check its general condition. 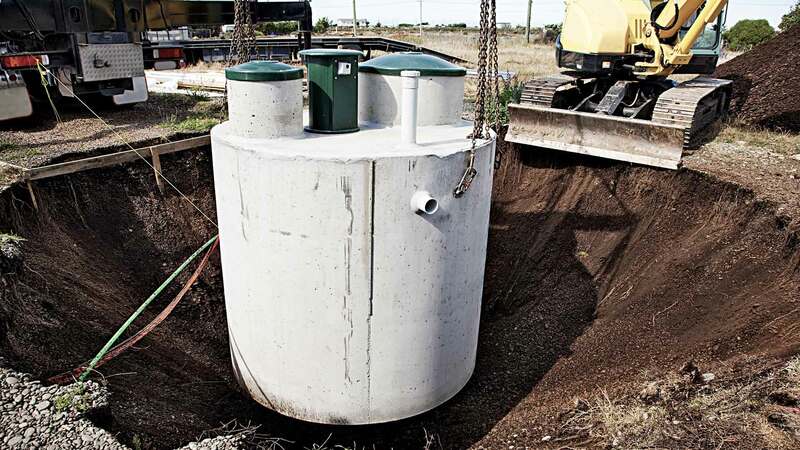 Septic tank inspections are extremely practical for identifying a relatively small problem before it develops into a larger more expensive repair. How often do I need to clean my septic tank? Experts recommend that septic tanks and drain fields in Canton be cleaned thoroughly each year. Regular cleaning and inspection greatly reduces the need expensive repairs later on. The frequency required for pumping depends on the size of your tank and your level of water use. Call Another Chance Septic Company at (330) 854-2000 for more information. What else can I do to ensure that my septic tank lasts longer? Limit the disposal of large amounts of paints, oils, fats and harsh chemicals that can cause an imbalance to the micro-organisms necessary for the optimal break down of solid waste in the septic system. What does it mean if my septic tank smells bad? In general, a septic tank should function without any unpleasant odor. Foul odors emanating from a septic system usually indicate a need for pumping and/or repair. Call (330) 854-2000 for immediate assistance in the Canton region.